Nicolas Maduro, President of Venezuela, paid his first official visit to Haiti in order to discuss the renewal of special funding to help Haiti revive itself from the devastations caused by 2010 earthquakes. The special funds use oil money for the development of infrastructural project in Haiti. 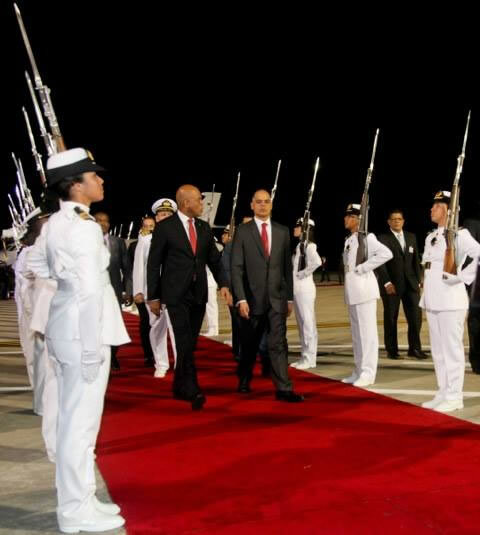 Maduro met the Haitian President, Michel Martelly privately on the grounds where the National Palace used to stand before the earthquake of 2010. 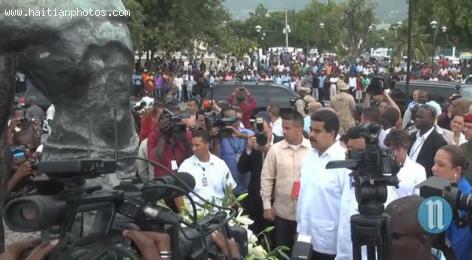 This Maduro's first visit to Haiti after the former Venezuelan President Hugo Chavez visited Haiti in 2007. Maduro said that Chavez had a desire to return to Haiti and so, Maduro is here to represent Chavez. Here is a picture of the second most powerful man in Venezuela, Diosdado Cabello along with Haitian President Michel Martelly and U.S. State Department Counselor Thomas Shannon. Cabello and Shannon met in Haiti on Saturday, June 13, 2015 due to an arrangement made by Martelly. The diplomatic relationship between U.S. and Venezuela has been strained since President Obama called for sanctions against Venezuela for human rights abuses. A meeting between U.S. State Department Counselor Shannon and Venezuelan senior official, Cabello, was arranged by President Martelly. Shannon has spoken with Venezuelan President Maduro, who is protective of Cabello, accused by U.S. prosecutors of being a cocaine trafficker. Maduro warns "anyone who messes with Diosdado messes with me." Nicolas Maduro, the head of state of Venezuela visited Haiti on an official tour to discuss the possibilities and scope of the renewal of special funds for the relief and development of Haiti. During his visit, the new head of state of Venezuela stated that he as here in Haiti to represent the former Venezuelan President, late Hugo Chavez. He stated that it was Chavez's wish to return to Haiti. 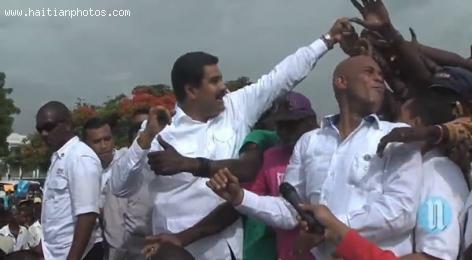 Maduro had a long discussion with the Haitian President Michel Martelly at the Presidential land. 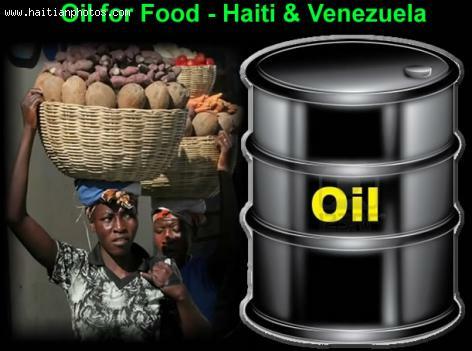 The Ministry of Agriculture has announced a three year agricultural recovery plan for strengthening the agriculture so that Haiti becomes capable to take part in the oil against food exchange program with Venezuela. The concerned minister said, use of agricultural products as currency is a good idea to pay debt for oil. However, to reach that stage, Haiti must increase its agricultural crops from present level so that after meeting the local consumption need we have enough for exchange. The ministry has already selected 16 products (such as, cocoa, coffee, peas, beans, banana, etc) to begin negotiation with Venezuela. 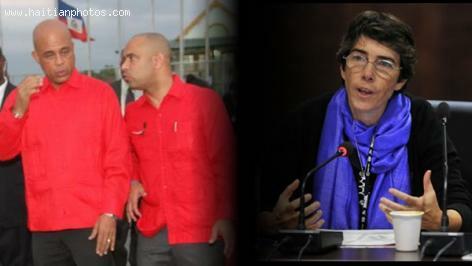 The Special Envoy of the World Bank Mary Barton-Dock received some harsh words from the Ambassador of Venezuela in Haiti, Pedro Antonio Canino. This came to be following her critic of the government of Martelly-Lamothe for the way they have been handling fund from PetroCaribe. Five years after the last visit of former Venezuelan President, late Hugo Chavez, the current head of state of Venezuela, Nicolas Madura paid his first official visit to Haiti. During the visit, Maduro discussed the renewal of special funding for Haiti. Previously, Haiti had received millions of dollars in aid from Venezuela through the PetroCaribe pact that was signed in 2005. 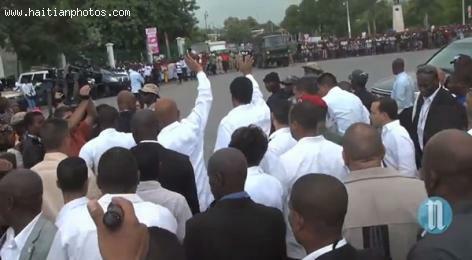 The head of state of Venezuela, Nicolas Maduro, officially toured Haiti for the first time after becoming President. It was his first official visit to the Caribbean nation after the former Venezuelan President, late Hugo Chavez visited Haiti in 2007. 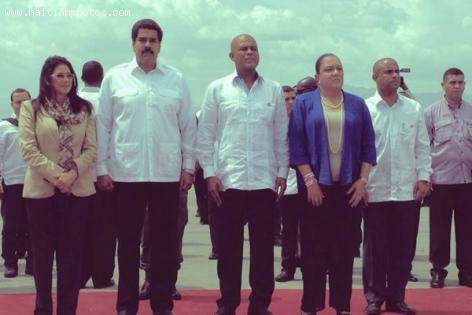 Maduro spent the entire day with the Haitian President Michel Martelly and the two wore white guayaberas. Both the Presidents were accompanied by their respective wives. 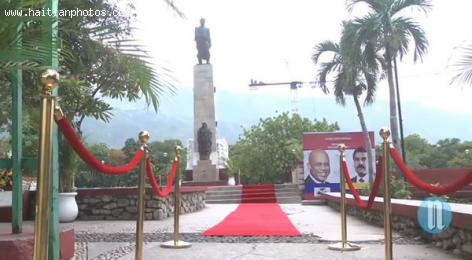 Maduro went to downtown Port-au-Prince before reaching the Presidential grounds in Haiti and viewed a statue located in public plaza. He also visited a museum before the official talks between the two Presidents started on the grounds where the National Palace stood before the 2010 earthquake. 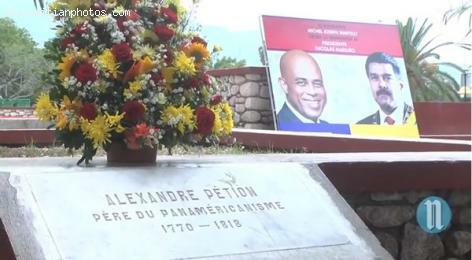 Nicolas Maduro, the Venezuelan President, visited Haiti for the first time. It was an official trip that was intended to discuss the scope of Venezuelan aid for Haiti to help Haiti revive from the ruins of 2010 earthquake. Maduro was supposed to visit Haiti in April but the official tour was cancelled because Haitian President Michel Martelly hosted a regional summit that brought together many heads of state. President of Venezuela, Nicolas Maduro, visited Haiti to discuss with the Haitian President Michel Martelly to discuss the renewal of special funds that are directed towards the infrastructural growth of Haiti. Venezuela has been the biggest donor since 2010 earthquake that shattered Haiti. Millions of dollars has been used by Haiti from the PetroCaribe pact signed in 2005 with Venezuela. Haitian President Michel Martelly reported that 94% of Haitian development works are funded by the PetroCaribe funds.